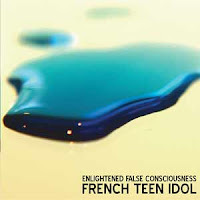 Melancholic piano patterns, dreamy atmospheres, vocal samples and striking instrumental crescendos, some of the ingredients of French Teen Idol's debut album, are sill there, enriched by the continuous search for new musical solutions, including a more classical "song-structure" approach in some tracks. Athens-based band GardenBox and Roman artist Patrizio Piastra collaborated with French Teen Idol on track #2, "The Longest Night". Other collaborations include Fabrizio Lagani (track #3) and Olalla Rey Fernández (track #5).